Hello guys I hope you have had a lovely start to you week! I sure did when I woke up 1 and a half hours late and nearly missed my spinning class but moving on today’s post may sound sad but I promise it contains something beautiful. So like most I had a little splurge in the January sales (don’t worry this was before I went on a spending ban and capsule wardrobe trial, I promise) and bought a top I had been lusting after for months. 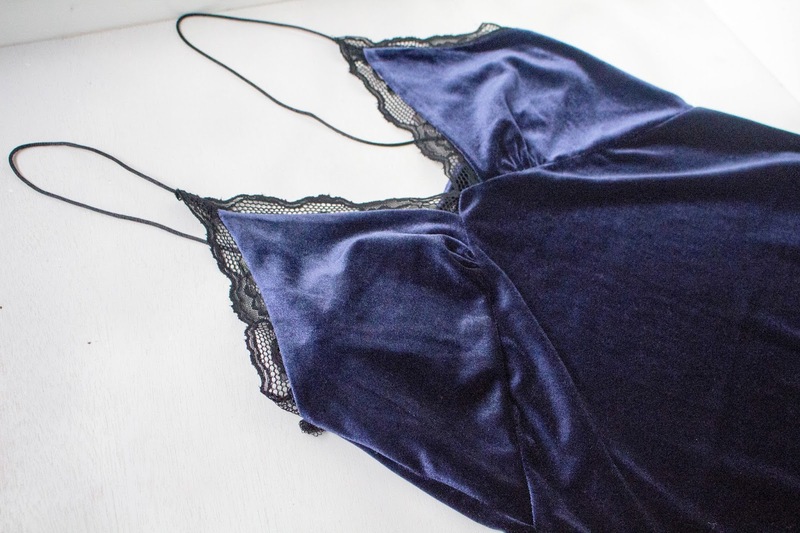 It is this little blue velvet one from ZARA, also available in dress form. I wanted the dress first but I kind of thought it looked similar to bed attire. However after spotting the top in Leeds (in sale for ONLY £10) I couldn’t say no. The dress, my first love, was also there however when trying it on I realised it was something that didn’t complimented me. So I nabbed this top as soon as I could and now I’m waiting for the perfect occasion to wear this little 90s grunge style cami. So if anyone knows me they are probably thinking ‘wow some blue in Erin’s wardrobe’. Yeah guys this might be a new me. I constantly stick to my safe colours of black, burgundy, white and grey but dark blue is something I want to add in to my wardrobe especially with spring on its way. It is a great alternative for black especially with spring an summer only a few months away, were it is very hard to get your hands on some black dungarees.